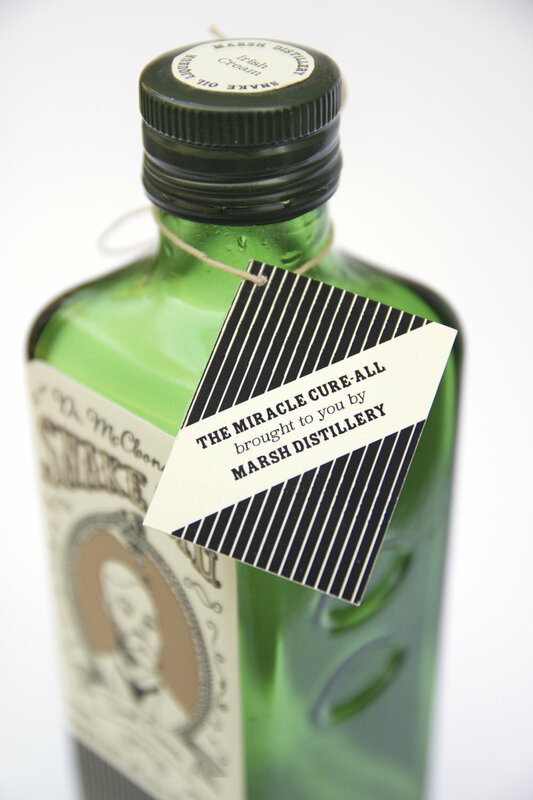 Inspired by the iconic snake oil salesman, Snake Oil is a thematic brand of liqueurs designed for the true believer. The branding and packaging features three flavors, each with its own peddler and cocktail recipe! Written in the voice of a rambling sales pitch, the copywriting invokes a world in which the line between fact and fiction is slightly muddled. Do you hear that? It’s another project!